One of my favorite quick and easy side salads. After going vegan I really missed mozzarella – Teese really works for me!!! 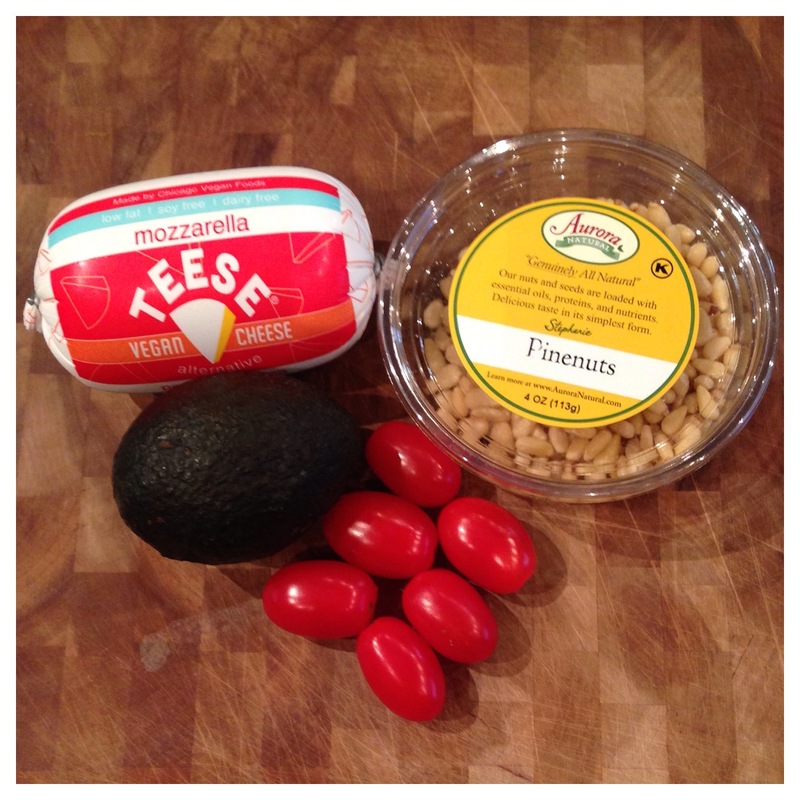 Hint: ask your grocer to order the Teese mozzarella for you if you don’t see in your grocery store. 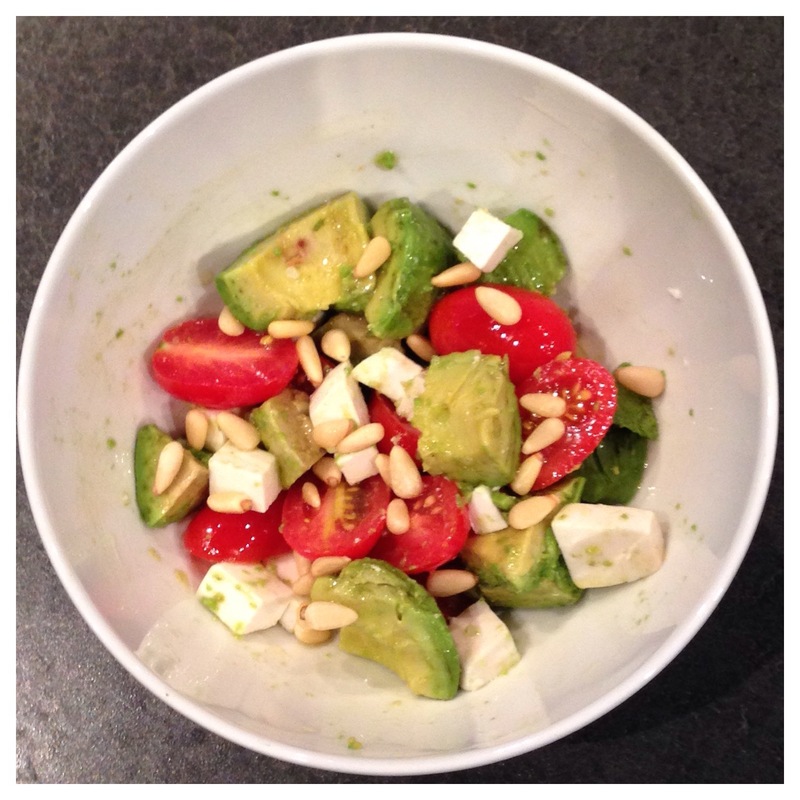 This entry was posted in home cooked, recipes and tagged #avocado, #pinenuts, #teasecheese, #tomatoes, cherry tomatoes, mozzarella by sheri moon zombie. Bookmark the permalink. I am excited you started this blog! Let me start off by saying your fruits and vegetables look amazing! ! Well I just wanted to share with you sometimes for a quick dinner I love to make baked eggplant! I just put a little olive oil and salt pepper and garlic powder! !! Its soooo yummy!!!! I’m adding these ingredients to my shopping list right now. This looks delicious! Grocery stores will actually order stuff special? The vegan cheese is a great substitute to the real thing. Does anyone know if there are any seafood substitutes that are vegan?